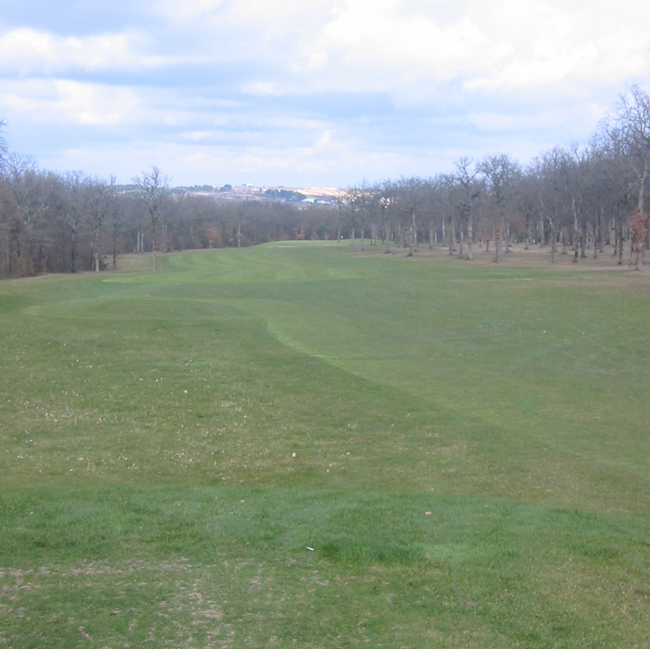 Dijon-Bourgogne Hole 1: The opening golf hole is a slight dogleg right par four with heavy trees to the right. Thus, an accurate drive is needed to leave an open shot to the green. Dijon-Bourgogne Hole 4: This very short dogleg left features a tight drive between two tall trees and must be hit between 180 and 220 yards to the landing area to leave a clear shot over the small pond in front of the green. Care must be taken to avoid the water left as well. 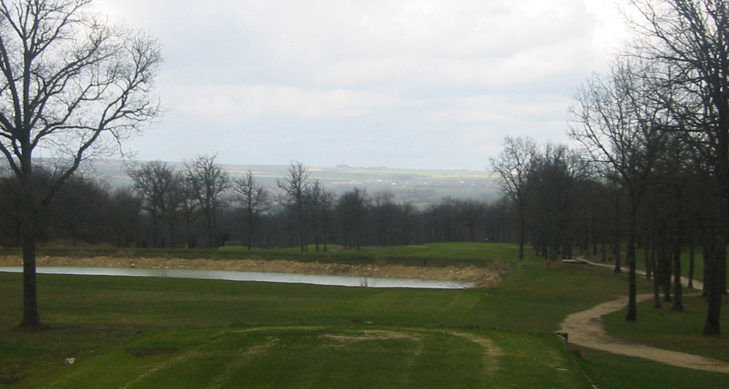 Dijon-Bourgogne Hole 10: The elevated tee give a nice view of the surrounding Dijon area on this otherwise straight forward, but long, par four. 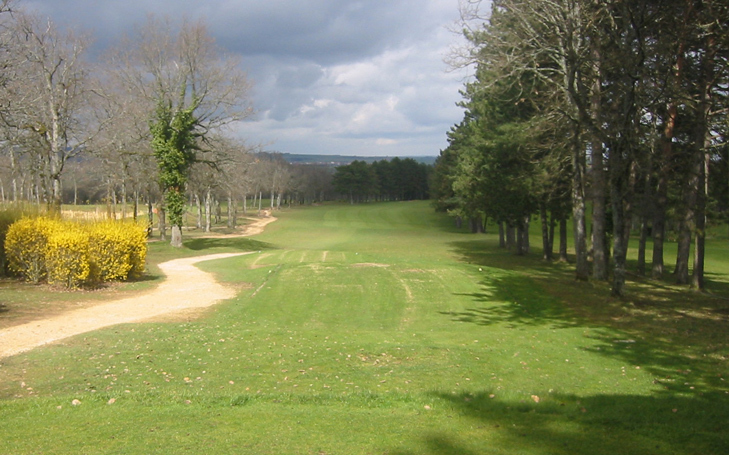 Dijon-Bourgogne Hole 12: This solid par four is long and features thick forest to the left and trees to the right. A massive and wide bunker fronts the green, but has more room over it than appears. 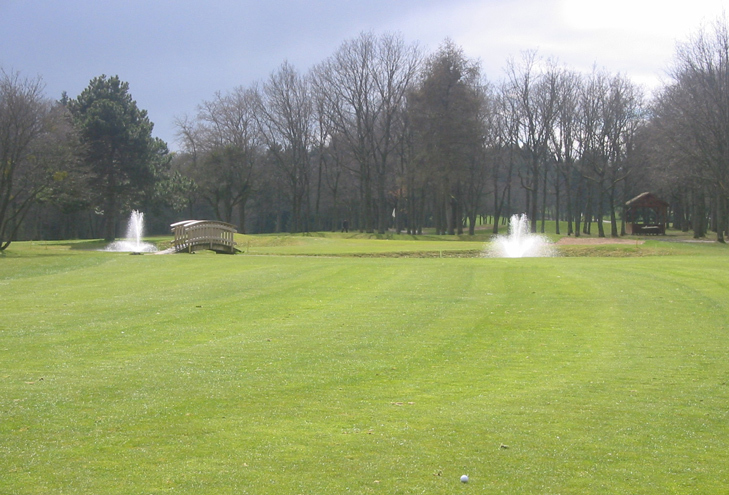 Good views of the surrounding countryside greet the driver on the tee box.